Profile is from the day before the avalanche occurred, on a west facing slope, but from lower elevation. 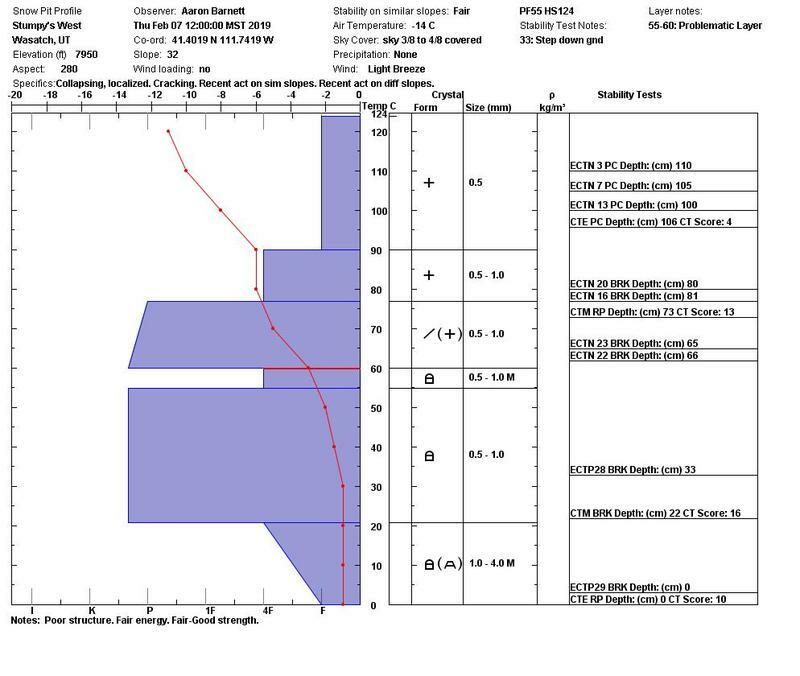 While a guide was setting a left hand rail for clients they remotely triggered a small wind slab that stepped down to basal facets on a NW slope at 8,500 feet. The guided group safely descended the low angle terrain to the skier's right of the guide's handrail. 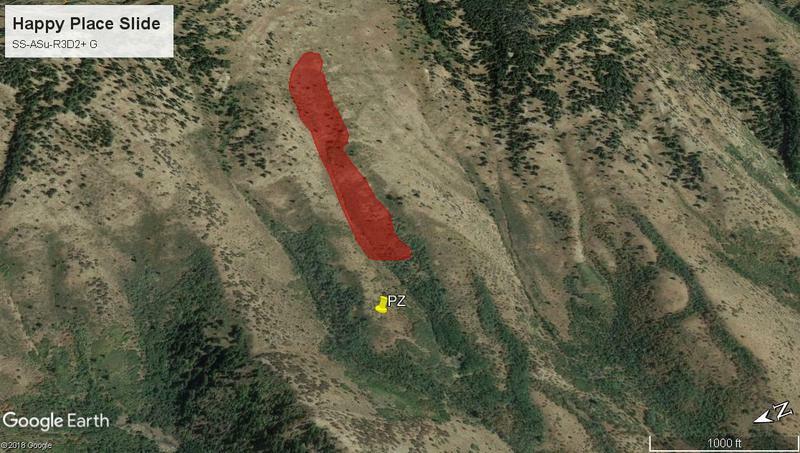 This aspect and elevation had a thin, <100 cm, snow pack prior to our recent storm event. Prior to the storm event similar aspects and elevations demonstrated poor structure, fair-good strength, and fair-good energy. This event highlights the hazard created by recent loading on slopes that had previously demonstrated difficult to trigger, non planer, broken results in stability tests. 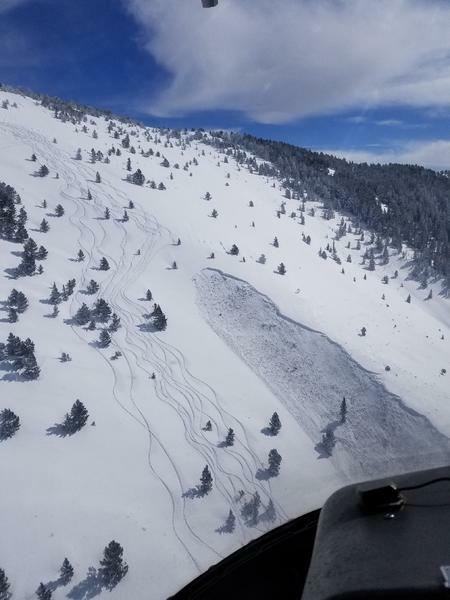 Any slope that had a thin snow pack prior to the recent storm event is to be approached with extreme caution due to the current deep slab avalanche problem. This cross loaded slope broke on weak faceted snow just above the ground.